Posted in daughter, family, food, friends, funny lies, growing up, humor, kids, kindergarten, lying, moms, motherhood, parenting, toys, turning 4	by linda a.
I’ve realized that my 4-year-old daughter will either be the greatest story-teller ever or the next Pinocchio, because this child of mine sure can lie. The other day I walked into their room and couldn’t even get pass the mountain of toys that was blocking my way. There was so much stuff lying around, I needed a GPS just to get to their closet. So I asked them to clean it up. After about 20 minutes of nagging and trying to convince me that they had better things to do like staple papers together, my patience was running its limit, so I did the next best thing and offered them money. My favorite one that day oldest one, being the smart cookie that she is, took the money and started cleaning up. The youngest one, well, she had a very reasonable explanation about why she shouldn’t clean up. Let me just add that her face was dead serious. Not one smile. No she doesn’t. Not even one. “Hello Kitty? As in the doll? “Oh no mami, don’t be silly! Dolls can’t move! My FRIEND Hello Kitty! Duh!” Insert eye roll. She does not. Obviously. What kind of parents would name their kid Hello Kitty? As she walks away with the scissors still in her hand. 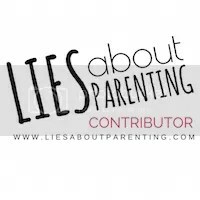 Hey, I’m on Top Mommy Blogs! Vote for me by clicking on the TMB banner! One click= One vote! 😳OMG!!!! She sure is going to have her own tv show!!!! Can’t stop laughing!!!!!!!! And that’s why Tio Jaime loves you so much Itala Paulina!!! !